Vacation rental villa. 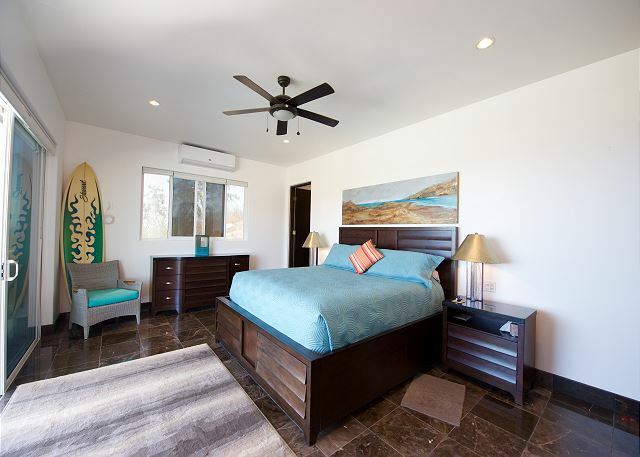 Sleeps 8, 4 bedrooms, 4.5 bathrooms. No pets allowed. Infinity pool with infinite views. Watching the sunrise from the terrace. Amazing views from the entire house. Front entrance to Casa Ungero. Front entrance to the lower level. Garden area in front of the lower level entrance. The top of Casa Ungero. Casa Ungero has a heated pool. Pathway that leads down to the beach. Fully furnished terrace in front of the living room. 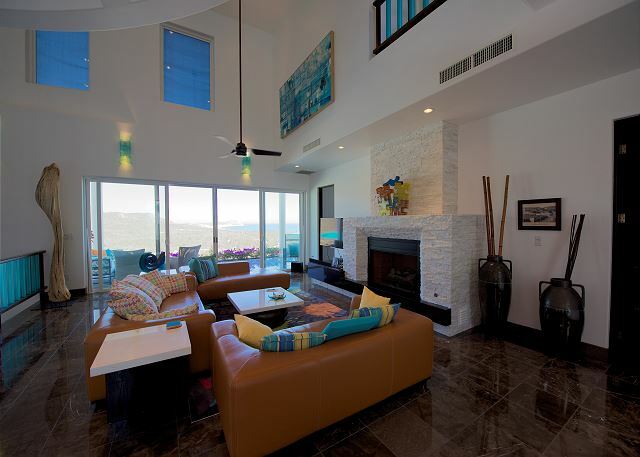 Fully furnished decks with endless views. In front of the dining room there is a BBQ station and another dining table. 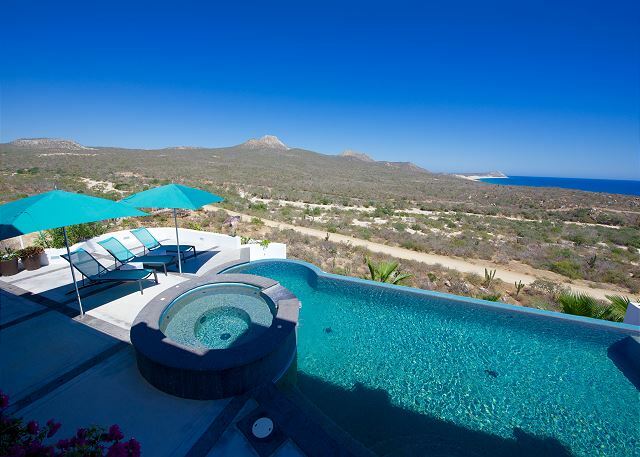 Endless views of the East Cape and Sea of Cortez. 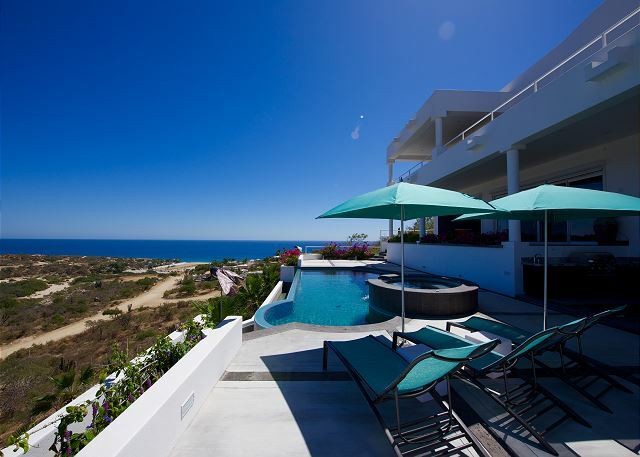 Casa Ungero is built into the cliff side and has breathtaking views. Pool and view of desert. 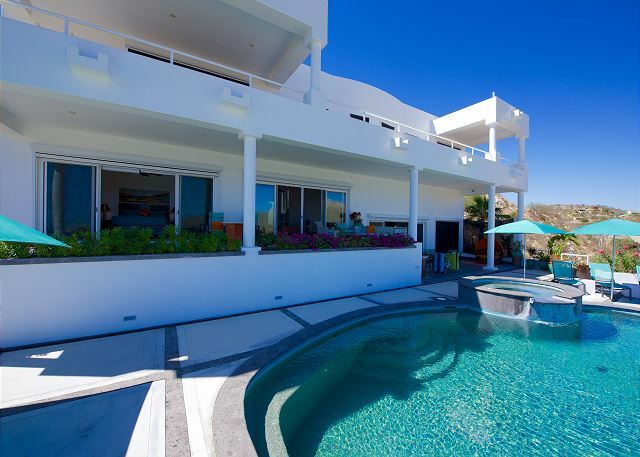 Casa Ungero is a custom home built into the hillside. Part of the natural flora on the property. 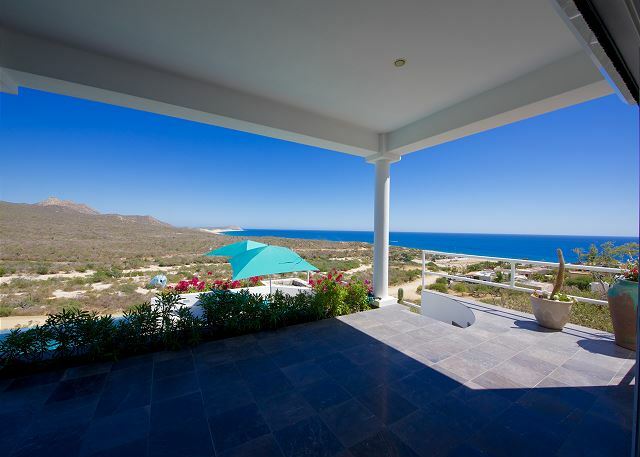 Casa Ungero has unobstructed views of everything! The terrace in front of bedroom 4 has amazing views. What an amazing view from the terrace in front of bedroom 3. Absolutely amazing endless views from Casa Ungero. The deck in front of bedroom 1. Bottom level front door entrance to the house. Looking towards the dining room from the living room. The living room has satellite television and bluetooth stereo. The living room has endless views. The dining room opens to the pool deck. The kitchen and the stairs to the living room. The dining room seats 8 and the patio seats 8. The kitchen has an island that seats 4. Looking from the kitchen through the dining room to the pool deck. 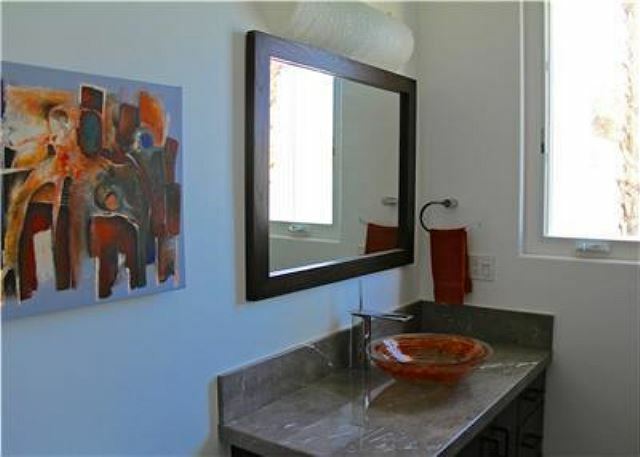 The living room has a guest bathroom to the side. Bedroom 3 has a king size bed. 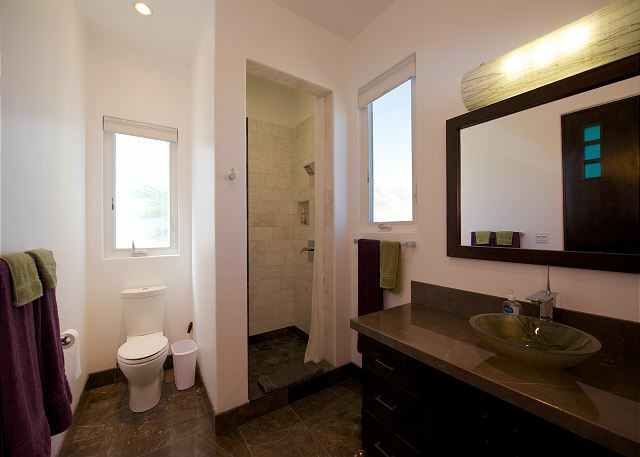 This is the private bathroom in bedroom 2 and has a shower. Bedroom 3 has a king size bed and private bathroom. Bedroom 3 shares an oversized furnished terrace with bedroom 4 . Great views. 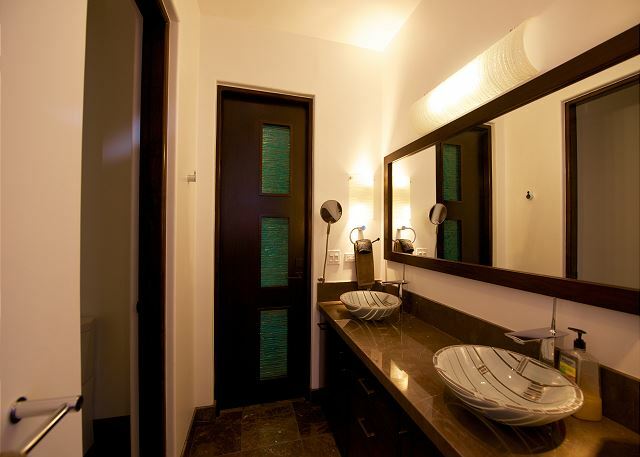 This is the private bathroom for bedroom 3 and has a shower. Bedroom 4 has a private bathroom. 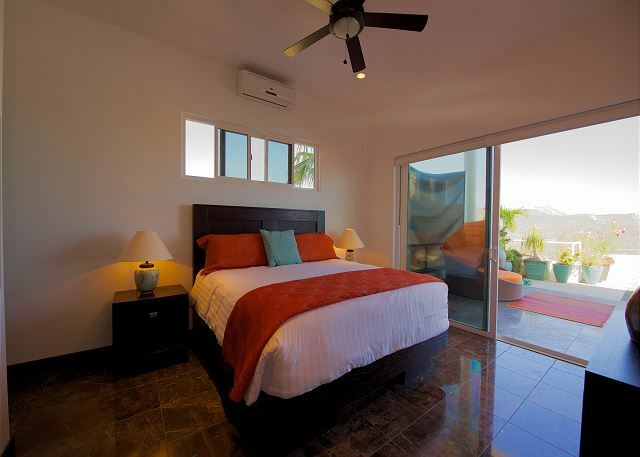 Bedroom 4 is on the upstairs level and opens to the furnished terrace. Amazing views. Bedroom 4 has a king size bed. This is bedroom's 4 bathroom and it has a shower. Bedroom 4 is to the left and bedroom 3 to the right. Bedroom 1 has a king size bed and private bathroom. 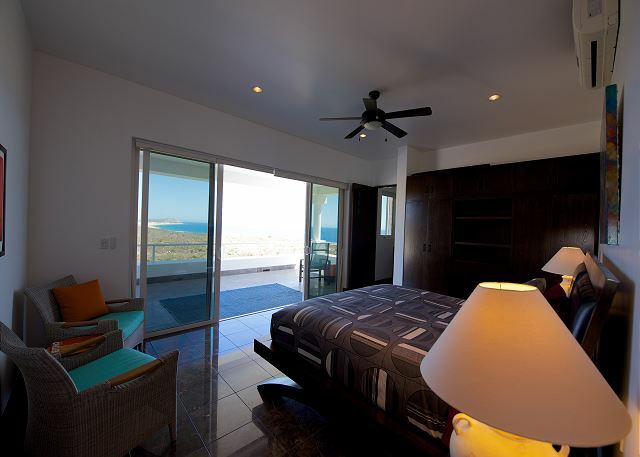 Bedroom 1 has amazing views of the ocean and desert. This is the bathroom in bedroom 1 and has a shower. Bedroom 2 has a king size bed. Bedroom 2 has amazing views and opens to the terrace. 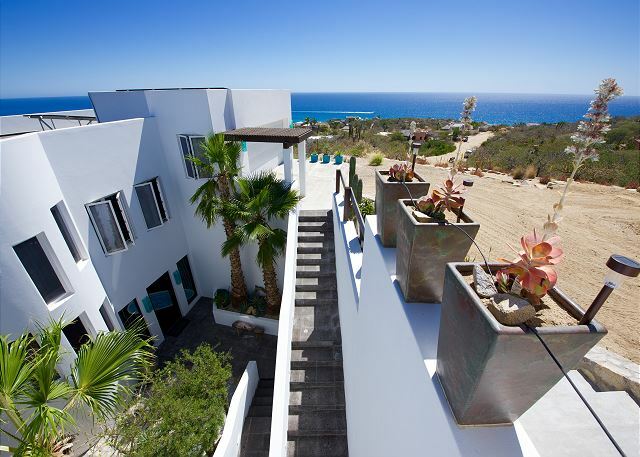 Casa Ungero is a custom built home with modern decor located in the gated community of Laguna Hills which is the end of civilization and the gateway to the East Cape of Los Cabos. 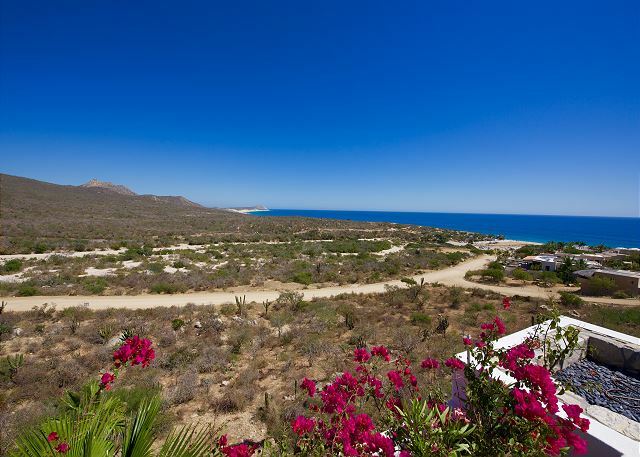 This beautiful 4 bedroom 6000 square foot home is built into the cliff side overlooking mountains to the left and the Sea of Cortez to the right. Casa Ungero is a green home built off the "grid" and is supplied by solar power, water trucks, and natural gas. 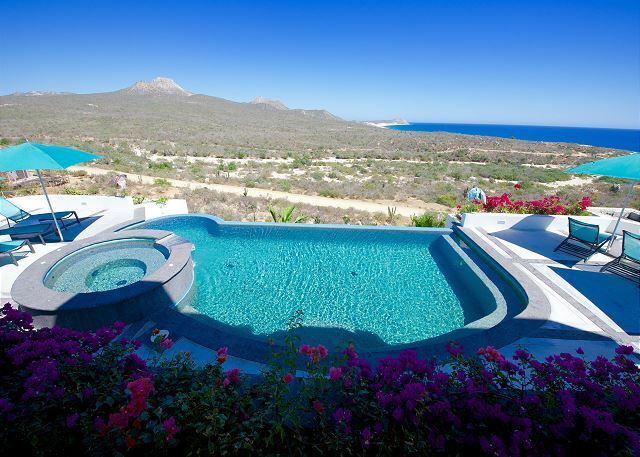 Sit in the pool or Jacuzzi and take in the unobstructed views of the hills, beach, and Sea of Cortez all the way to Punta Gorda. The pool is surrounded by a large furnished sun deck that has lounge chairs, umbrellas, and a gas BBQ and dining table. 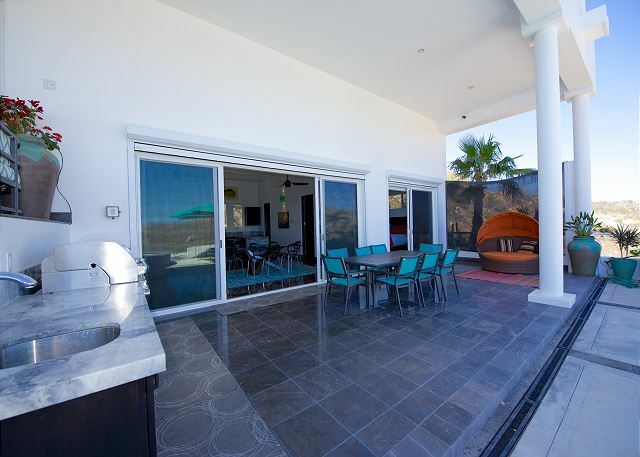 Casa Ungero has all the luxuries of home including a fully equipped kitchen with all the appliances and utensils, satellite television, free high speed internet, and a view that will fill your camera's memory card. 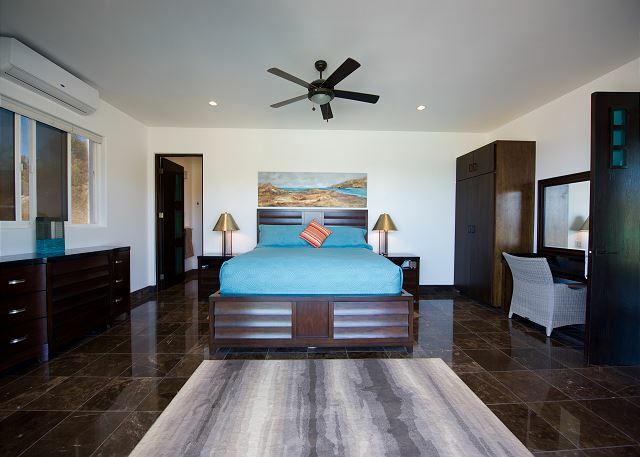 The Casa has 4 bedrooms that each open to a terrace, each with a King size bed, attached bathroom with a shower, and a view that will make you just want to lay in bed all day. The main part of the house is an enormous space that includes the kitchen, dining room, and an upper level living room. Every room of the house takes complete advantage of the view. 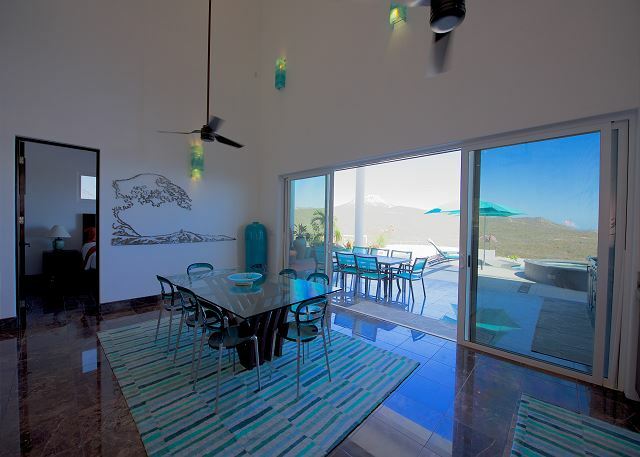 Casa Ungero is furnished with custom furniture and glass art work created by the owners that just enhance this incredible vacation experience. 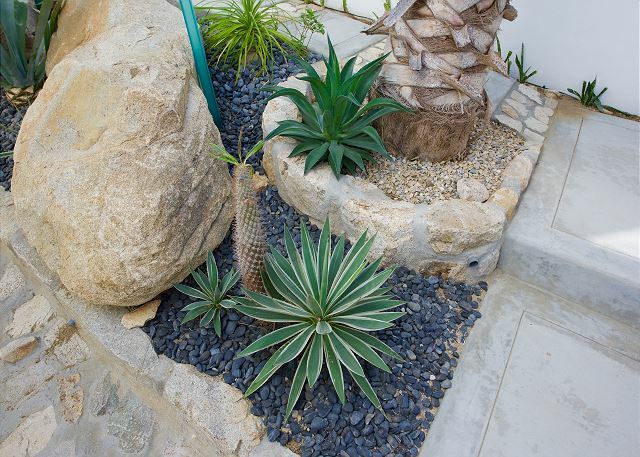 The Casa is located on a hill just above La Laguna and is a five minute walk to the beach. Beautiful house that suited our family of seven adults and one to your old perfectly. Loved having our own pool, the views were amazing.